When it comes to mobile data, Canada exists in a different league to most other countries. Canadians pay the highest price in the developed world for their LTE data, but in return, benefit from networks that cover the country coast-to-coast with reliable, high-speed mobile data. However, just looking at networks’ average download speed doesn’t tell the whole story. While fast top speeds are indicative of a strong network, reliable network quality is equally, if not more, important. After all, who cares whether you can occasionally hit gigabit download speeds if half the time you’re struggling to load a Google search result? 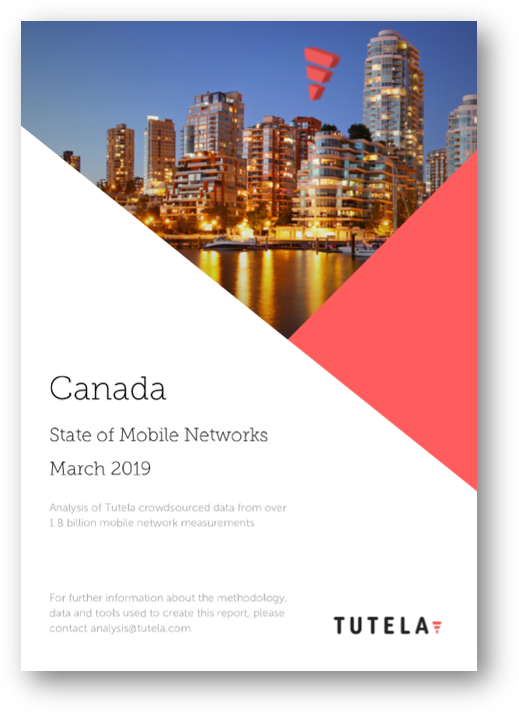 That’s why, to properly evaluate the kind of experience that Canada’s networks are delivering to customers, Tutela uses a different metric: consistent quality. Tutela uses network and device data collected from millions of mobile device owners every day to analyze which carriers reliably provide fast enough speeds to perform routine mobile tasks, like streaming a video on YouTube or using Google Maps. To compile this report, Tutela examined over 1.8 billion total records taken from 1st August 2018 to 31st January 2019. They include 13.4 million speed tests and 153 million latency tests, collected from an average of 171,000 unique devices every single day.